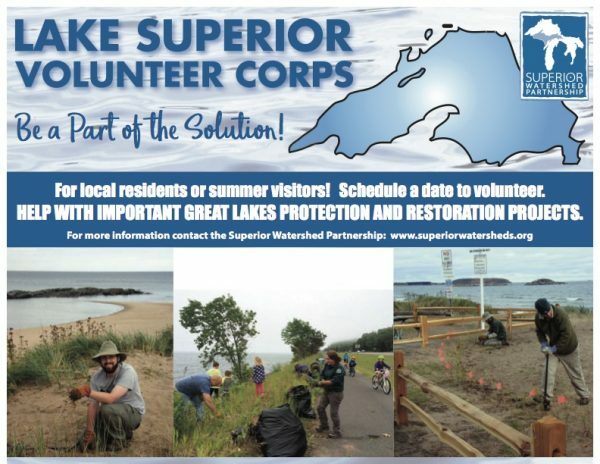 Join The Superior Watershed Partnership most Fridays this Summer for the Lake Superior Volunteer Corps (LSVC)! 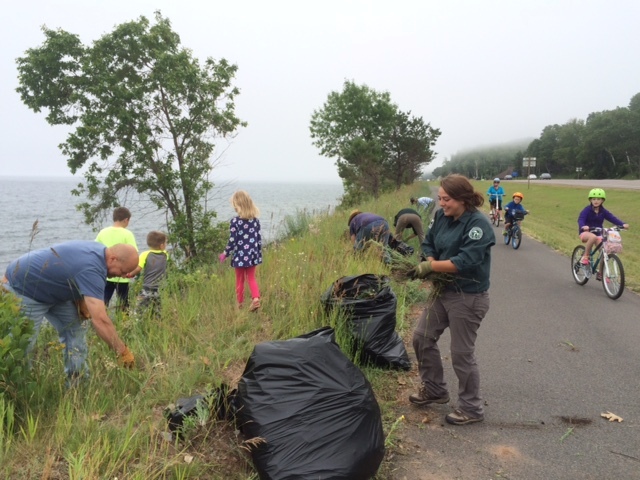 Volunteers work alongside members of the Great Lakes Conservation Corps or the Climate Conservation Corps assisting with a wide variety of conservation projects including but not limited to; dune restoration, trail building, tree planting, erosion control, coastal wetland restoration, climate adaptation, assisting with small green infrastructure projects and more. Tools and training provided. Volunteers must drive their own vehicle to the work site.If you are interested in signing up for a volunteer work day, please click on the event title in the GLVC calendar. [[ } ]] Sign Up!